(GWINNETT-METRO ATLANTA) July 24, 2018 – Tyler Technologies, Inc. (NYSE: TYL) joined Partnership Gwinnett to announce the expansion of its Gwinnett County, metro Atlanta, Georgia, office to accommodate growth. Over the past three years, Tyler has added 164 employees, and the company expects to hire at least an additional 50 employees in 2018. Located in unincorporated Gwinnett County at 2160 Satellite Blvd., the office has expanded its footprint to accommodate the growing employee base supporting the EnerGov solution. The complex includes two buildings featuring a combined 35,000 square feet of space. While its larger office building is currently being renovated to accommodate for future growth this year, the smaller of the two offices was also recently renovated for the same reason. The renovated office space features lounge and recreational areas, open work stations, collaboration areas, and updated furniture and textiles for a contemporary office atmosphere. 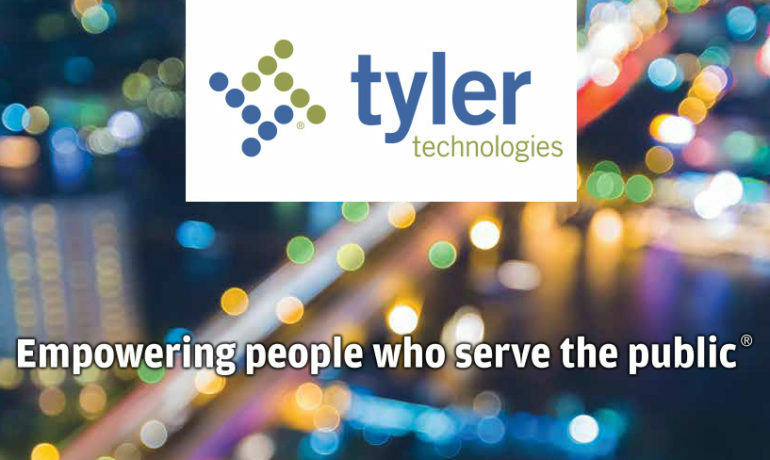 The rapid growth is the result of the large number of clients selecting Tyler’s EnerGov Civic Services solution. Since the acquisition of EnerGov Solutions in 2012, Tyler has added more than 300 EnerGov clients across 42 states to its overall client base of more than 15,000 public sector clients. EnerGov is the leading product within Tyler’s Civic Services solutions, one of Tyler’s eight major public sector sub-verticals. Tyler has executed many successful go-lives of EnerGov across United States and Canada, including Los Angeles County, California; Lake County, Illinois; and city of Burnaby, British Columbia. Tyler has an established presence in the greater Atlanta area, with many local government appraisal, tax, civic services, financial, courts, public safety, and school clients. For example, Tyler’s EnerGov solution was recently selected by the city of Atlanta to manage and process approximately $400 million in annual business tax and licensing related revenues. DeKalb and Fulton counties also rely on Tyler’s iasWorld® appraisal and tax administration solution and Tyler Verify™ to aid in mass appraisal and reassessment procedures; Tyler’s Odyssey case management solution, which provides seamless access to courts and justice applications; as well as eFileGA, Tyler’s e-filing platform, which helps its courts streamline processes, reduce costs, and save paper. Additionally, Atlanta Public Schools, Gwinnett County Public Schools, and the DeKalb County School District all use Tyler’s Versatrans routing and planning solution for tracking field trips and planning school bus routes, and the DeKalb County School District and Cobb County School District also use Tyler’s Munis solution for school financial planning and management. Tyler’s Duluth employees enjoy a unique office culture that supports several charitable activities and local community initiatives, such as the Kaiser Permanente Fun Run and the Angel Tree program, supporting the Quinn House, a full-service outreach operation that assists hundreds of individuals and families in need within Gwinnett County.